Mary Kom is a legend in her sport, an unprecedented 6 World Championship titles, one Olympic medal, 2 Asian games medal, 5 Asian Championship gold and many more exciting victories can be added to her name, yet the quest for more excellence still throbs in her. She had gone against her father’s wishes in pursuit of boxing. Later with the full support of her husband, and against the advice of her family she continued her passion even after marriage. Again after having kids, which ends any woman’s athletic career, Mary Kom returned to boxing and continues to excel. “I am not tired”, the 35-year-old pugilist says after her creating history of becoming the first woman to win six 6 World Championship titles. 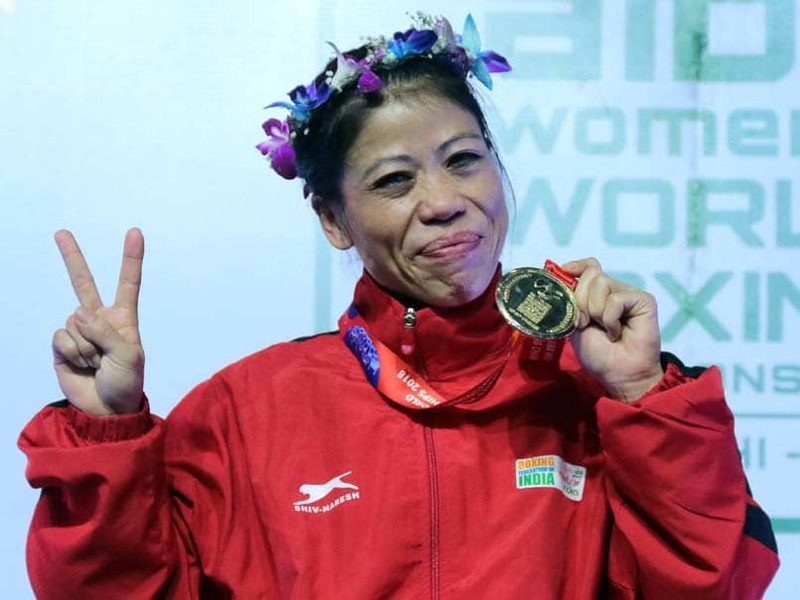 Mary Kom lived up to the expectations of the massive crowd who came to watch the match as she defeated Ukraine’s Hanna Okhota in the 48 kg title fight. She broke into tears after winning and thanked all her fans and supporters for coming in large numbers to support her. In a country like India where people are crazy about cricket, Mary Kom with her exploits in the ring made boxing all the more popular, especially among the young girls for whom she became a role model.